renko is updated to accept data input as a matrix, timetable, or table. The syntax for renko has changed. Previously, when using table input, the first column of dates could be serial date numbers, date character vectors, or datetime arrays, and you were required to have specific number of columns. No requirement of specific number of columns. However, you must provide valid column names. renko must contain a column named ‘price’ (case insensitive). 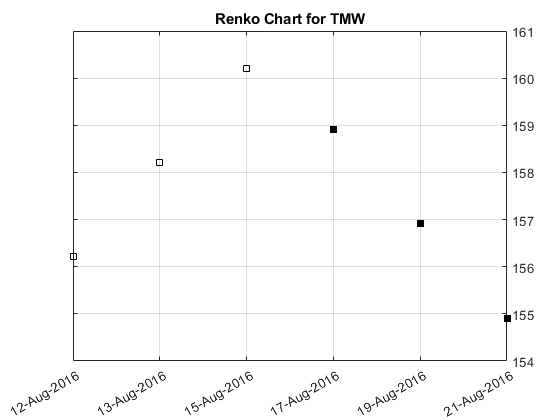 renko(Data) plots a Renko chart from a series of prices of a security. renko(Data,Threshold,) adds an optional argument for Threshold. h = renko(ax,___) adds an optional argument for ax. 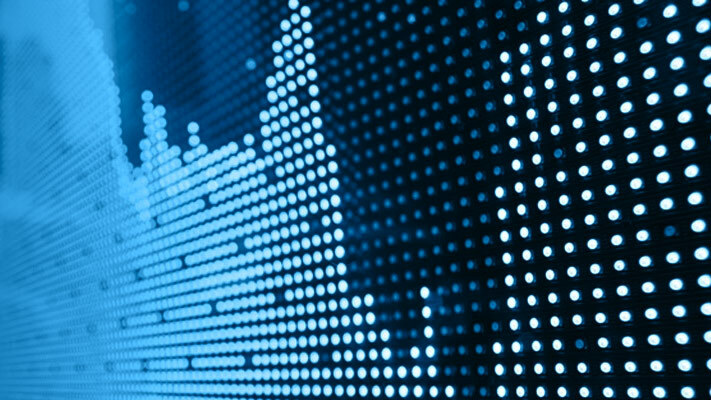 Load the file SimulatedStock.mat, which provides a timetable (TMW) for financial data for TMW stock. This example shows how to plot a Renko chart for the most recent 21 days. Note that the variable name of asset price is be renamed to 'Price' (case insensitive). Least price change value when adding a new box, specified as a scalar positive numeric value. (Optional) Valid axis object, specified as an axes object. The renko plot is created in the axes specified by ax instead of in the current axes (ax = gca). The option ax can precede any of the input argument combinations.